Location: Castle Green Hotel, Castle Green Ln, Kendal LA9 6RG. This is the Club's second Annual Dinner and Award's Presentation. It's an opportunity for members and their partners/spouses/family to get together and celebrate the Club's achievements. As well as a three course meal and an award's presentation, we also have an amazing guest speaker in the form of Sean Conway. Extreme endurance adventurer Sean Conway is the first and only man in history to cycle, swim and run the length of Britain. He completed the record-breaking feat in 2015 when he ran from John O’Groats to Land’s End in just 44 days, having previously cycled and swum the route. His most recent achievement was the world record for cycling unsupported across Europe. He completed the 4000 miles route in 24 days, 18 hours and 39 minutes. Born in Harare, Zimbabwe, Sean had an adventurous upbringing in the Mana Pools National Park with his conservationist game ranger father, Tony. He spent his early years climbing trees and chasing elephants out of his garden, and this unique childhood has been the fuel for his adventurous ambitions. 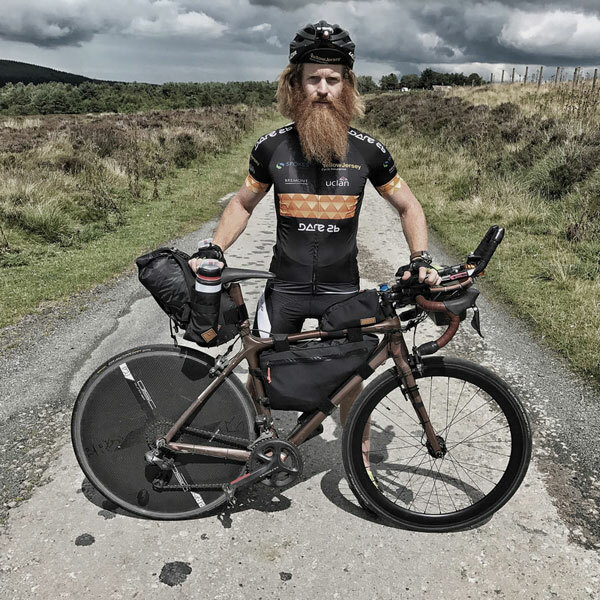 Sean famously sold his photography business for just £1 to pursue his dream breaking the world record for cycling around the world, Sean gained sponsorship and set out on this epic adventure on 18th February 2012. After three weeks he was ahead of schedule averaging nearly 180 miles a day. His dreams were shattered in America when a driver hit him causing severe whip lash, concussion, torn ligaments and a compression fracture to the spine. Despite this, Sean continued on dropping to 140 miles per day, changing his goal to get back to London in time for the Olympics and raise money for charity. He made it back with a week to spare, having covered 16,000 miles – 12,000 of them with a fractured spine. In 2013 he became the first person in history to swim the length of Great Britain, having previously cycled it in 2008. After battling the weather, currents and seemingly endless swarms of jellyfish, Sean and his legendary beard wrote history on November 11 2013, after 135 days at sea. in 2015, after a failed first attempt at running Britain, he completed the Ultimate British Triathlon when he finished his run from John O’Groats to Land’s End, without undergoing any kind of training in advance.